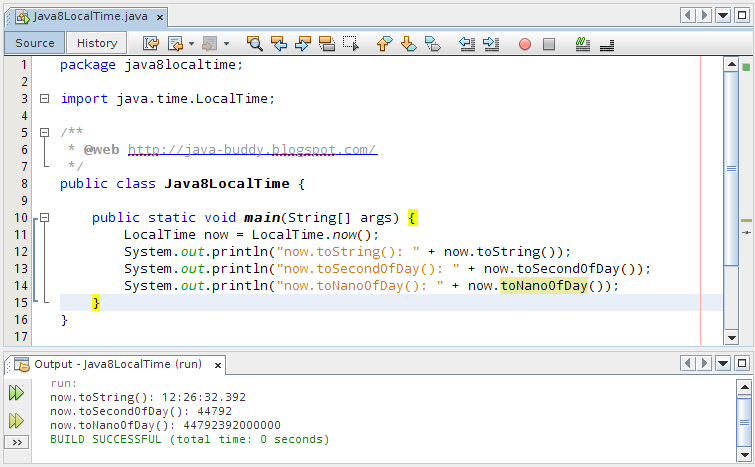 java.time.LocalTime is a time without time-zone in the ISO-8601 calendar system, such as 10:15:30. LocalTime is an immutable date-time object that represents a time, often viewed as hour-minute-second. Time is represented to nanosecond precision. For example, the value "13:45.30.123456789" can be stored in a LocalTime. The method toSecondOfDay() and toNanoOfDay() extracts the time as seconds of day/nanos of day.